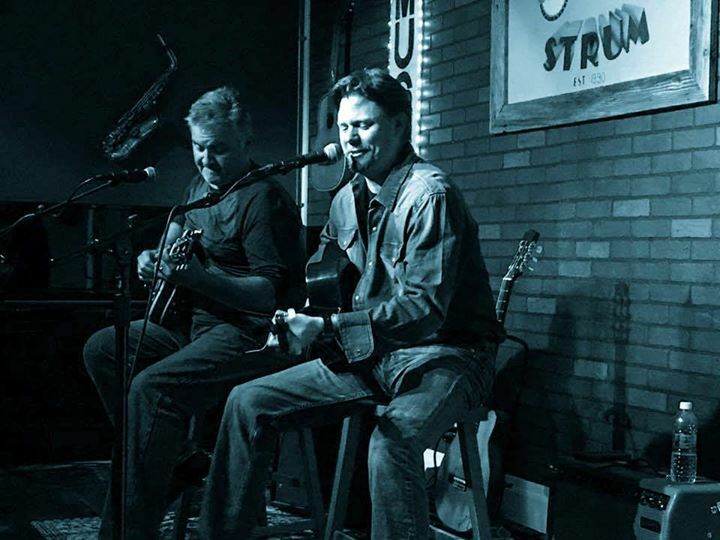 The Gloria Faye Dingus Music Alliance is pleased to welcome back Phil Hunt & Eddie Estes to the Listening Room at Drum & Strum. Phil and Eddie, both accomplished finger-style guitarists, have shared the stage with the likes of Chet’s right-hand man, Paul Yandell, Richard Smith, Tommy Emmanuel, and Nashville guitarist Brent Mason as well as performing numerous times at the Chet Atkins Appreciation Society in Nashville, Tennessee. Enjoy a wonderful evening of music with songs, stories, Christmas classics and guaranteed festivity. Tickets are $15, seating is limited, and advance purchase is recommended. Children 12 and under admitted free with parent. Doors open at 7:30 and the concert will begin at 8pm. Proceeds will go to the Gloria Faye Dingus Music Alliance a 501c3 non-profit organization dedicated to bringing music into the life of everyone. Drum & Strum MusicFauquier County's hometown source for all things musical. Providing the best in music education, rentals, instrument repairs, and live music since 1990.